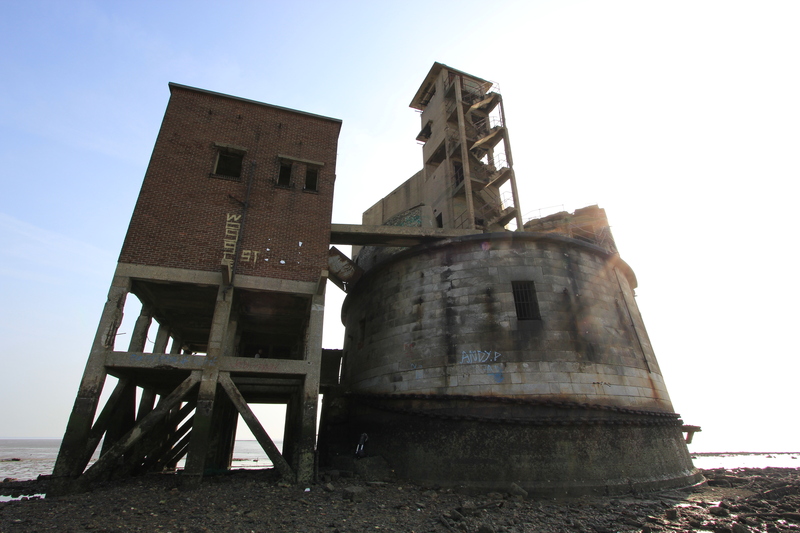 The three/four storey accommodation block was added to Grain Tower in World War Two. It is about as different from the original structure as you can get, for it is rectangular and not round. 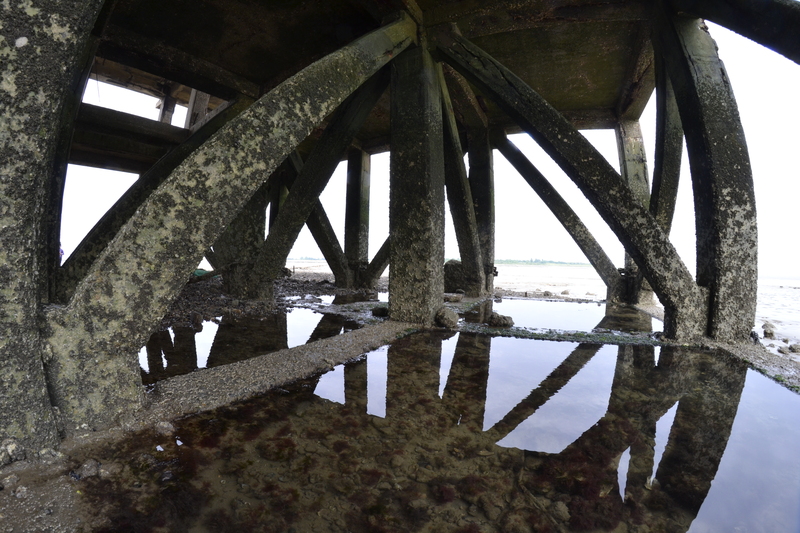 It stands on concrete stilts which kept the soldiers’ beds dry at high tide. (The struts do not curve as shown in the photo below – that photo was taken with a fish-eye lens). Access to the accommodation block is via a main entrance at first floor (high tide) level, opposite the main entrance to the original tower. 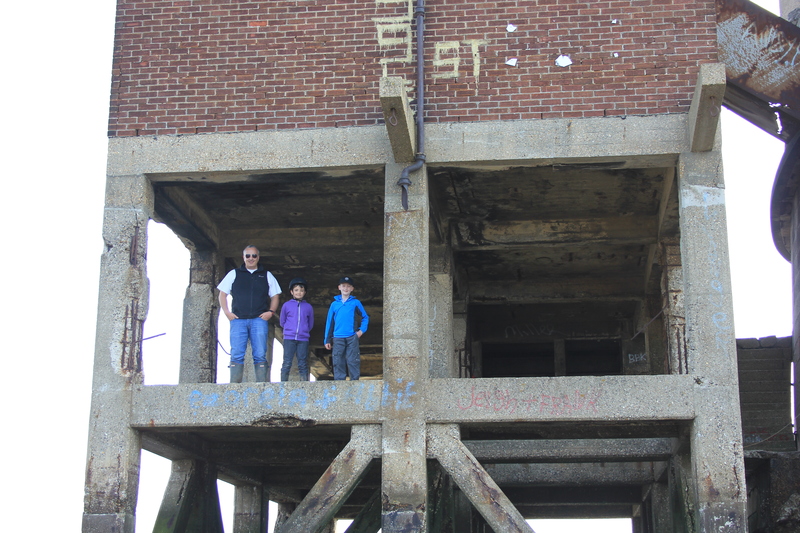 At third floor level a concrete gangway leads back across to the original tower at roof (gun position) level. The accommodation block today is the poor cousin of the original tower when it comes to interest. It is brick built and rectangular. The original tower is, how should I say, more well rounded. It has weathered the waves with more resilience than its younger brother. The accommodation block, at first floor level, has no walls at its western end. The rusting reinforcing steels protrude from the spalling concrete and are slowly deteriorating as they wait patiently for someone to rescue them. Yet as much as the original tower was more interesting than the accommodation block, it was the latter that produced one of my favourite photos of the entire trip. As we toured the tower we came across a hole in an internal brick wall at second floor level. 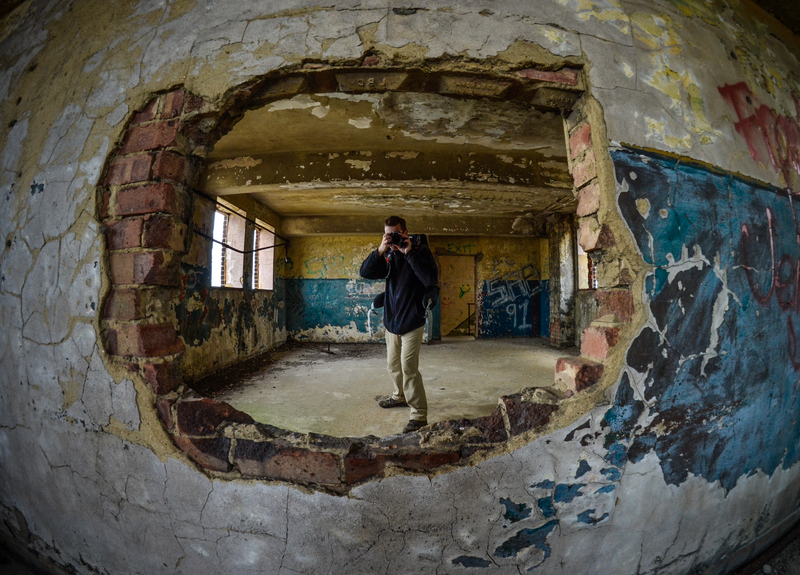 It was quite large, opening up onto the ruin of the rooms behind. The surrounding walls were once decorated, but we found them covered in pockmarks and overpainted with graffiti. The yellow colour of the render and the red of the exposed bricks added to the colour of the place. I was wandering round one part of the block and my brother, Alex, was wandering around elsewhere. We came across each other through this hole in the wall. We were both armed with our cameras. It was a quick draw. Alex, with his fish-eye lens, was already in crouching position. I was standing. We took our shots at each other. Mine was not worthy of mention. Alex’s shot at me proved his skill as a fine marksman indeed. 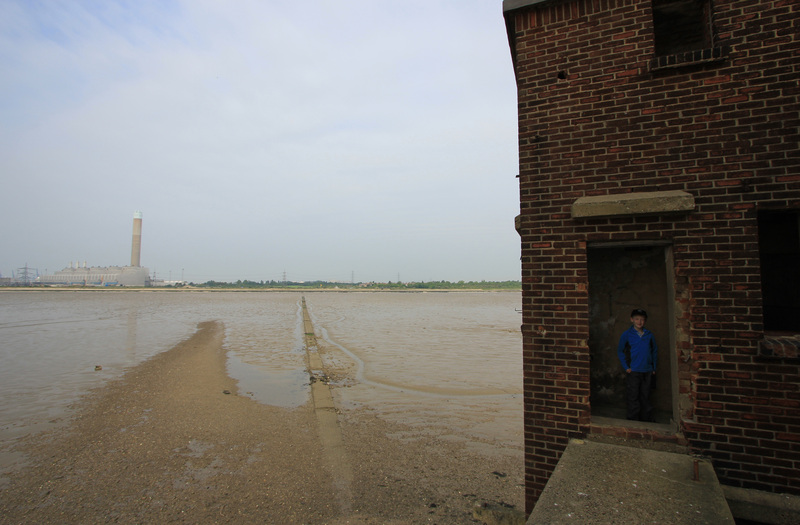 This entry was posted in Kent and tagged coast, exploration, Grain Tower, Isle of Grain, Kent, photography, travel, walking. Bookmark the permalink.